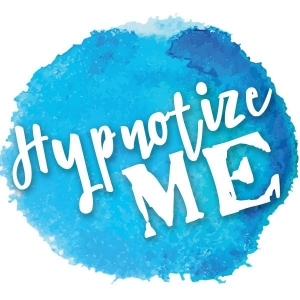 The Hypnotize Me Podcast broadcasts a full episode every Monday with “mini-episodes” on the occasional Thursday. It reaches approximately 3,500 listeners per month in 64 countries around the world, the majority of whom live in the United States, followed by Canada, Australia, and the United Kingdom. Florida, California, New York, and Washington state are the top listening states in the United States. This means that your advertising would be heard every week by hundreds of consumers! Don’t miss out on this great opportunity to reach more people with your advertising! In addition, we’re committed to regularly mentioning your product on all social media channels as well as the newsletter which has approximately 1,000 subscribers at any one time. You will also be featured on the podcast main page during your advertising period. The website receives approximately 12,000 visitors per month. This is a 30 second spot which will be at the beginning of the podcast, and which will name the advertiser as the sponsor for that week’s show. The advertiser can provide the script to be read – approximate length of 45 – 60 words. Alternatively, I can talk about the product/company myself which normally runs 30 seconds to 1 minute. The price for this spot is $150 per week to read a script or $250 per week to have me talk about the product myself. This is a 45-second spot which I will read at the end of the podcast. The advertiser must provide the script to be read – approximate length of 120 words, not to exceed 135 words. The price for this spot is $175 per week to read a script or $200 per week to have me talk about the product myself.. The above two ads, Opening Ad and Endroll Ad, may be purchased as a package. The advertiser must provide the scripts as outlined above, and both ads must be provided to be read within the same single podcast episode. The price for the package is $300 per week for scripted ads or $400 for more personalized advertising. Which Ad package you’re interested in. ***Response time is generally 24 hours.